6 Creative Ways To Preserve Your Wedding Memories For Many Years To Come! Aside from the wedding photos, other wedding items themselves like the guest book, cake topper, and even the bridal shoe are kept in order to preserve the wedding's memories. Wedding + Photos: Ever wondered what it's like to grow old with your partner and happily looking at your wedding photos? The day you said 'I do' is a once in a lifetime event. That is why every details -- right from the preparation down to the reception and other wedding traditions -- should be preserved. Thanks to all the advancements of technology, all of those details can now be kept forever with just a simple click. These days, you can put all your photos in a single album and if you want to make sure those photographs will be kept forever, you might want to invest on high-end wedding photobooks, according to Marco Henry - Founder and CEO of Fizara. This kind of service isn't expensive at all because rest assured that your photos won't easily fade. But aside from the wedding photos, other wedding items themselves like the guest book, cake topper, and even the bridal shoe are kept in order to preserve the wedding's memories. In the case of women, the bridal gown is the most important item to keep hold of. A survey a few years ago revealed that around 60-percent of brides keep their wedding dress after the big day. Around 7-percent either donate it to charity. If you're part of the bigger percentage who want to preserve their dresses, we got some tips for you. Is it a good idea to still keep your dress and other wedding items? Yes! Here are some things you can do to preserve your bridal outfit, shoes, and bouquet. This idea is perfect for brides who are a bit sentimental. This way, they can keep the gown with them always. If you want to see your gown into a lace necklace, earrings, or tie clip, you can turn to online sellers who customize jewelry out of wedding gowns. Jewelry designers can convert a section of a fabric into a metal through wax casting process. Before framing your beloved wedding gown, make sure it was sent to a professional wedding gown preserver first. This is to make sure that the dress is clean before displaying it. Normally, a custom shadow acid-free box would not cost higher than $1000. If you want to preserve your florals, rearrange it and turn it into a monogram before putting it in a shadowbox. You can even put both the dress and the bouquet in a single box. 3. Give your wedding dress a makeover! There are beautiful ways to reuse your gown. Why not turn it into a skirt or a shorter dress? Karyn of Path to Green, refashioned her wedding outfit by adding some beads and replacing the ivory sash with a pink ribbon. Or for women with little daughters, turn it into a gown that they can use for special occasions. Want a floral Christmas tree? Simply dry the flowers and put them into a clear glass ball. That would be festive and will give a nature-inspired vibe to your Christmas decor. You can fill empty bottles with wishes from guests. Or better yet, pick your favorite and have them sign on the label. You can store the wine and consume it your anniversary. Freezing your wedding cake isn't a good idea at all. So why don't you just hire someone who could a mini version for you? There are special services dedicated to creating replica of your confection. You can find these makers online, like Amazon and Etsy. They normally use clay to do a miniature of your wedding cake. You may also use this replica as an ornament. 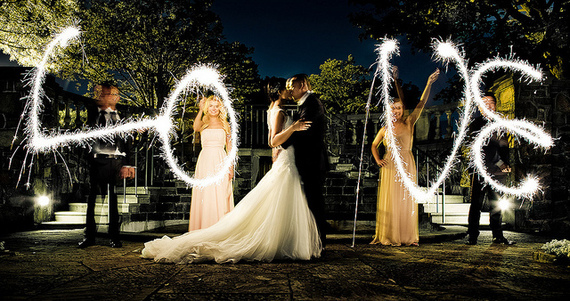 What are some of the creative ways you've done to preserve your wedding memories?